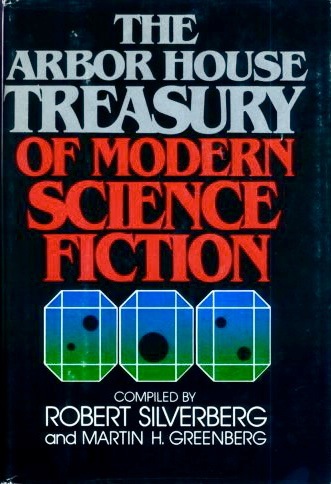 Cover: The Arbor House Treasury of Modern Science Fiction by Antler & Baldwin, Inc.
Info from Locus #233 (May 1980). This hardcover edition was published simultaneously with a trade paperback edition. 353 • Unready to Wear • (1953) • short story by Kurt Vonnegut, Jr.
689 • The Women Men Don't See • (1973) • novelette by James Tiptree, Jr.